Make these five changes and see results fast to grab, and KEEP, the attention of more buyers. We've identified five easy and quick things you can do to market your product or service more effectively with greater clarity. Download now to see how easy it can be to start clarifying your marketing and attract your ideal buyers. 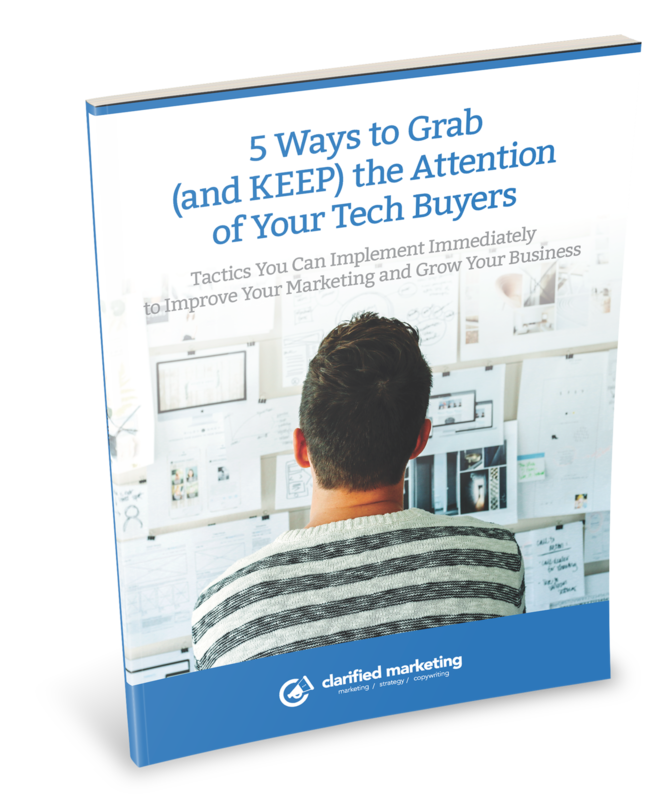 Please enter your name and email address so we can send you "5 Ways to Grab (and KEEP) the Attention of Your Tech Buyers"